Controlled substances, such as opiates or anabolic steroids, are newcomers to the field of electronic prescribing. The U.S. Drug Enforcement Agency and most states have allowed physicians to e-prescribe Schedule II-V drugs in only the last few years, namely as the technology demonstrated better security. A new study published in the American Journal of Managed Care(www.ajmc.com) looked at 18 months of activity on the Surescripts Network, one of the larger e-prescription systems in the country (accounting for almost 60 percent of U.S. e-prescription activity). The study found that between July 2012 and December 2013, the number of transmitted prescriptions for controlled substances surged from a little more than 1,500 to more than 52,000. Also during that period, about one third of pharmacies in the system became capable of receiving and processing e-prescriptions for controlled substances. The going has been much slower on the provider side, with only 1 percent of those using Surescripts able to e-prescribe controlled substances by the end of the study period. The researchers were optimistic, noting that the number of eligible providers was increasing by several hundred a month at the end of the study period. But they did say that physicians, nurses, and other providers may be dragging their feet because they don’t yet entirely trust the technology or didn't see a financial incentive to make the switch from their prescription pad. They may also view the process of getting themselves and their computer systems registered with the proper authorities as extra work. That should change going forward, the authors said, as proponents have claimed e-prescribing could actually help advance pain management by reducing concerns about fraud and abuse. Were you a successful electronic prescriber under either the 2012 or 2013 Medicare Electronic Prescribing (eRx) Incentive Program(www.cms.gov)? If so, congratulations! If not, expect slightly smaller Medicare payments in 2014. Eligible professionals and group practices (who self-nominated for the 2012 and/or 2013 eRx group practice reporting option) who didn't successfully complete the incentive programs will receive a 2 percent penalty next year. That means they'll receive only 98 percent of the Medicare Part B physician fee schedule allowed charges they would otherwise have received for services provided from Jan. 1–Dec. 31, 2014. If you do get notified by the Centers for Medicare & Medicaid Services (CMS) that your payments are being cut, you can get a second opinion by requesting an informal review. Complete instructions on how to request an informal review are available in the 2014 eRx Payment Adjustment Informal Review Made Simple educational document(www.cms.gov) on the CMS web site. You should email your eRx informal review request to eRxInformalReview@cms.hhs.gov no later than February 28, 2014. For all other questions related to the eRx Incentive Program, CMS asks that you contact the QualityNet Help Desk at 1-866-288-8912 (TTY 1-877-715-6222) or via qnetsupport@sdps.org. They are available Monday through Friday from 7 a.m.–7 p.m. CST. 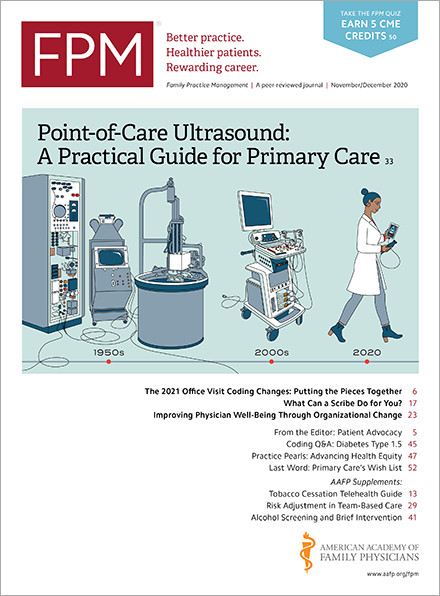 Time is running out for physicians to avoid having their Medicare Part B fees cut next year under a federal initiative that encourages electronic prescribing. • Attest achievement of meaningful use under the EHR Incentive Program during either the 12-month eRx reporting period (Jan. 1, 2012-Dec. 31, 2012) or the six-month eRx reporting period (Jan. 1, 2013-June 30, 2013). If you are currently subject to the eRx payment adjustment or have been in the past, you are not alone. CMS reports(www.cms.gov) that 135,931 eligible professionals were subject to the 2012 eRx payment adjustment because they did not qualify for an exemption, meet exclusion criteria for the adjustment, or comply with eRx reporting requirements in the first half of 2011. The payment adjustment in 2014 will be 2 percent, which means if you are subject to the adjustment, you will only receive 98 percent of your Medicare Part B physician fee schedule amount for covered professional services, assuming you are not subject to any other payment adjustments under Medicare. On March 1, CMS re-opened the Quality Reporting Communication Support Page(www.qualitynet.org) to allow individual eligible professionals and group practices the opportunity to request a significant hardship exemption for the 2014 eRx payment adjustment. As noted, hardship exemption requests will be accepted through June 30, 2013. After that, you're out of luck. Also, please note this applies only to hardship exemption requests for the 2014 eRx payment adjustment. The reporting period to avoid the 2013 eRx payment adjustment, or to submit hardship exemption requests, has ended. For additional information on the 2014 eRx payment adjustment, including who is subject to the payment adjustment and how to avoid it, please review the 2014 eRx Payment Adjustment Fact Sheet(www.cms.gov).